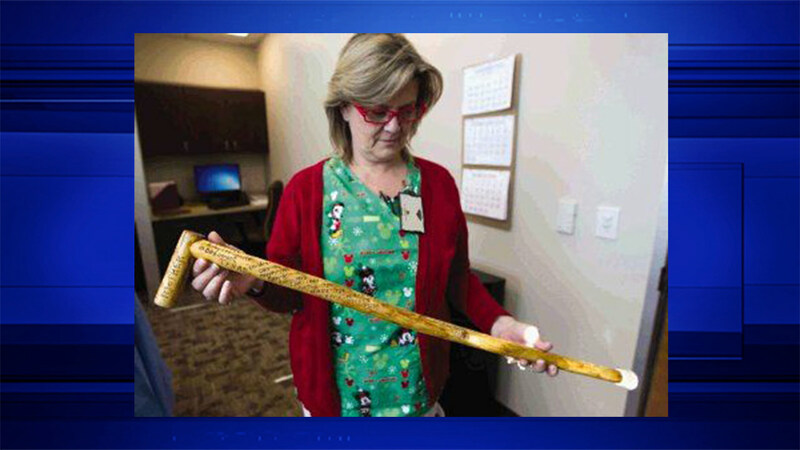 CONROE, TX -- It made Cynthia Murphy Watson's Christmas when she learned that her mother's hand-carved cane had not been stolen like she feared, but had in fact been sitting in the Veterans Affairs clinic in Conroe for more than a year. "It feels wonderful to get this piece of my momma (back), something of hers to hold onto," Watson said. "It feels like momma's still around." The Courier was able to locate Watson, who picked up the cane in time for Christmas Thursday. Watson said when she noticed the cane missing, she looked everywhere for it, but her search came up empty.